Following a year-long courtship, Former member ofDestiny’s Child and singer behind the hit single “Say Yes”, Michelle Williams has announced her engagement to Pastor Chad Johnson, who serves as chaplain for the Pittsburgh Steelers, L.A. Dodgers and founded Elevate International — a Christ-focused mentorship organization that works in urban communities. 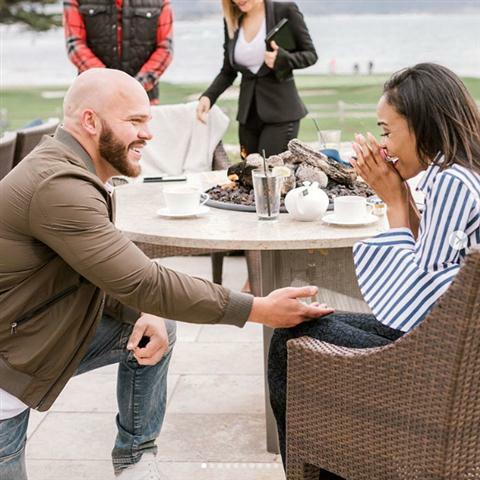 “On March 21, 2018, the love of my life @chadjohnson77 proposed and I said ‘Yesssssssss…..I will, I will, I will!! !” Williams wrote in an Instagram post. Williams, who reunited with Destiny’s Child group members Beyoncé and Kelly Rowland in a celebrated performance at Coachella on Saturday, shared in another post just over a day before announcing her engagement how Johnson has supported her despite the different “worlds” in which they work.